Back at the end of August at IFA, Google announced that the Google Assistant was weeks away from showing up inside almost all of the electronics you own or will soon own. From new speakers and headphones to appliances, Google Assistant wants to be the technology that can control your life. LG signed-up out of the gate and announced this morning that they are bringing Assistant support to 87 of their WiFi connected smart home appliances. We initially thought that only a couple of LG vacuums and washing machines would gain Google Assistant support to start, but that’s not at all the case. 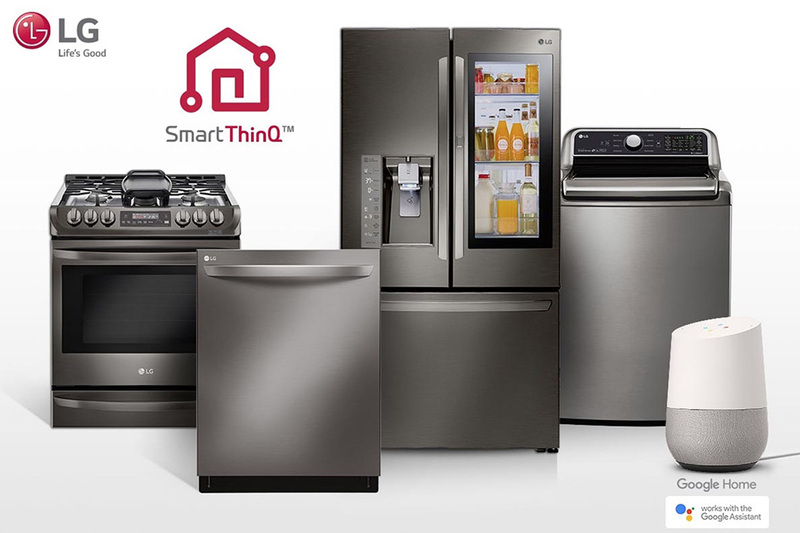 LG said that their smart home washing machines and dryers, refrigerators, ovens, dishwashers, vacuums, air purifiers, etc. are all ready for control via the Assistant. With this support, you’ll be able to ask the Assistant to check on time remaining in wash cycles, tell refrigerators to make more ice, turn off ovens or ranges, adjust air conditioners, and check air quality levels from purifiers. All of the initial setup is apparently done through the LG SmartThinQ app. If you own a bunch of LG smart appliances, this is a pretty huge jump in Assistant support.